It’s my pleasure to announce that my true crime book, September Sacrifice, is now available as an eBook. Earlier this year, New York Times best-selling author Gregg Olsen approached me to see if I might be interested in bringing September Sacrifice to his Crime Rant Classics label. I have tremendous respect for Gregg, and he’s been a strong supporter of this book from the beginning. I accepted his offer. 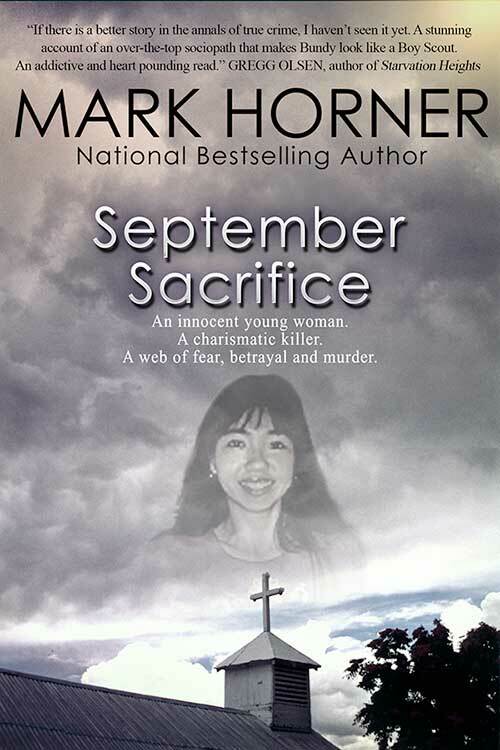 September Sacrifice is a detailed account of the 1999 kidnapping and murder of Girly Chew Hossencofft in Albuquerque, New Mexico. I’ve investigated the case from the beginning, and started this website in October 1999. I first reported on this case for KRQE-TV, and then for KOB-TV. In time, Diazien Hossencofft’s girlfriend Linda Henning was charged with kidnapping and murder. Court TV (now truTV) took notice and dedicated about 40 hours to its week-long coverage of Henning’s trial. Soon, Dateline NBC and other U.S. television programs featured the story. I appeared in nearly all of them. Beneath the sensational layers (and there are several) of this investigation, one will find the core: domestic violence. It’s the domestic violence that compelled me to investigate this case from the beginning and, ultimately, write this book. The victim’s estranged husband, Diazien Hosssencofft, told her that she would be killed and that no one would ever find her body. Girly shared that information with the FBI, desperately appealing to law enforcement for help. She knew a restraining order meant nothing to the evil conman who’d betrayed her in so many ways. Girly’s been dead for 15 years now. Her remains have yet to be found. It’s my hope that September Sacrifice and/or this website will ultimately help compel someone to come forward with new information. Thank you for your interest in Girly’s story.